or other topics, please give us a call at (540) 341-1922. We would be delighted to arrange a special presentation for your group! 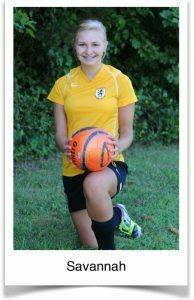 Savannah came to Blaser Physical Therapy for treatment of chronic ankle strain suffered during high school soccer games. Savannah’s therapy included strength training, balance and agility, endurance, and functional sports specific training. 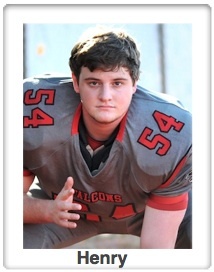 Blaser Physical Therapy helped Henry return to full participation in sports activities following surgery for a dislocated shoulder. Henry chose Blaser Physical Therapy for their reputation of rehabilitating athletes to their optimal potential to return to their sport. Henry initiated his rehabilitation and began recovering his range of motion, strength, appropriate restriction of activities, and his confidence. “Blaser Physical Therapy took something that should have been scary and made it less threatening,” Henry says. Kathleen is a business owner, avid runner and yoga practitioner who was experiencing severe neck pain due to a ruptured cervical disc. Kathleen says, “The individualized care and consistency of care that I received at Blaser Physical Therapy was excellent. 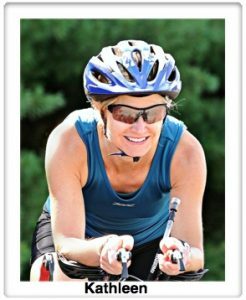 My treatment plan was detail oriented and took into consideration everything; how my diagnosis related to other parts of my body and the activities I was trying to return to.” Following her treatment, Kathleen was able to resume participation in her favorite sports activity: triathlons!